This page provides all public information regarding housing in Barcelona. You can access Barcelona’s Metropolitan Housing Observatory data, the “Xifres d'Habitatge” reports, the open data website of the Barcelona City Council and the Generalitat’s rental prices index. It’s becoming more and more necessary to collect, analyze and share data regarding the state of housing in the city in order to support the design of public measures and also to enrich the public debate and respond to citizens’ plea for transparency. Therefore, we have created this page for citizens to access all public information related to housing in Barcelona. The data-viewer offers statistical information on housing in the metropolitan area. It’s a tool created by Barcelona’s Metropolitan Housing Observatory (O-HB), an entity created by the City Council, Metropolitan Area, the Provincial Government and the Generalitat, with the support of the Social Housing Administrators Association of Catalonia. Their objective is to collect, analyze and share statistics on housing in the metropolitan area. Another available resource is the latest ‘Housing Figures’ report, this six-monthly document shows the evolution of the indicators most significant to housing in the city. 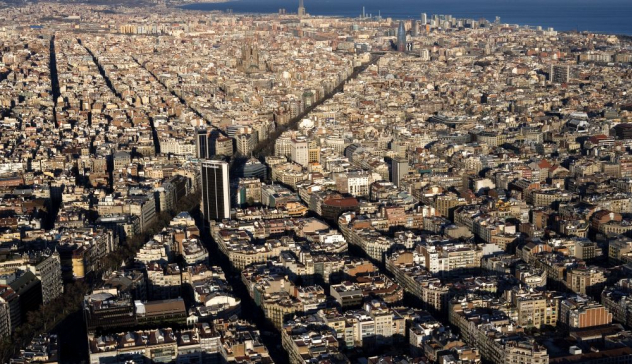 Since 2018 it is co-created by Barcelona’s Municipal Institute of Housing and Renovation (IMHAB) and Barcelona’s Metropolitan Housing Observatory. 'Housing Issues' is another publication that provides an open platform for debate between experts on housing related topics. In addition, it is possible to access all information related to housing available on Barcelona city Council’s Open Data Site. Lastly, the Generalitat’s rental prices index provides information on rental prices for housing according to its characteristics and location. Barcelona’s Municipal Institute of Housing and Renovation issues Qüestions d'Habitatge and Xifres d'Habitatge, reports on municipal policies and housing indicators in the city. Access information regarding housing on Barcelona City Council’s open data site. This indicator offers a guide regarding minimum and maximum rental prices for housing depending on its position and characteristics.